We left the Bear Lair at 4:50AM and got to the Lamar Valley by 6:05. We spotted a herd of bison with calves running and crossing the river and knew that something was up. Immediately Will and Peter spotted the first grizz which was not that close to the bison. While that grizz lumbered up the hill two grey wolves followed it into the woods. No video of the wolves but we all got to see them before they disappeared. Then the second grizz was spotted and we watched it go up the hill and rub on a tree that the first grizz had rubbed on and then it came back down the hill. It was 24F so we got back in the Suburban and pulled over at Slough (pronounced like stew) Creek. This area is the most bio-diverse in Yellowstone and has had an active wolf pack since re-introduction of wolves. 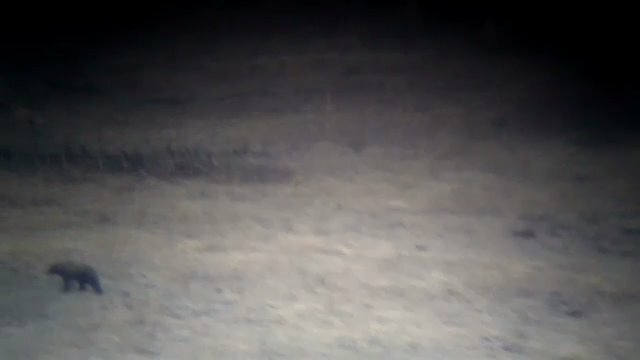 The last part of the video shows a sow with two "cubs". They are pretty big and mama will probably be sending them out on their own soon.